In 1 Timothy 3:12 we read that “all those who want to live a godly life in Christ Jesus will be persecuted.” Woah. Maybe God doesn’t want us to be happy, and only cares about us becoming godly or holy, even if it takes us being persecuted? How are we to understand this? Does God want us to be happy? It sure seems like he would, right? In this series of posts we’re fact-checking common phrases Christians believe, and in this post there are two phrase: “God isn’t interested in making you happy; he’s interested in making you holy.” VERSUS “God always wants me to be happy.” Which is it? This takes some explaining. First of all, God is most interested in our character, in our heart. And sometimes going through trials is the way to get to our heart. But as we have seen in previous posts in this series, the trials we go through are not necessarily from God. The world is broken and fallen, and we will have troubles in this world. God can redeem those struggles, though, as we strive to follow him in middle of our troubles. And he promises that he will be with us always. The result is that we do often grow in godliness during difficult times. But can we grow in holiness through joy and plenty and comfort? Yes. That’s why a life of spiritual practices and habits is so important. God calls us to pursue practices like prayer, biblical meditation, silent listening, generosity, and disciple-making all the time, not matter if life is going great or if it is really difficult. So the phrase “God isn’t interested in making you happy” is wrong. God DOES want us to be happy! It is very hard to feel joy in the middle of the pain. 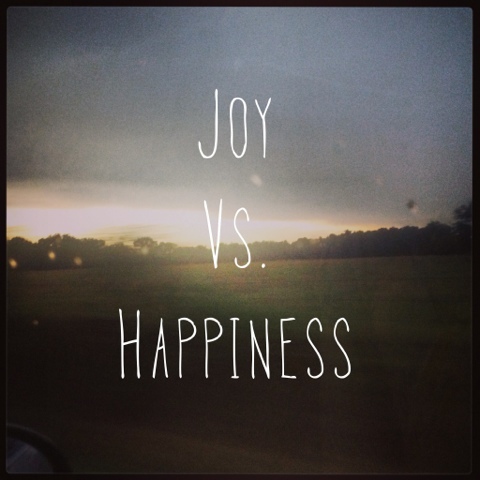 Is there a difference between happiness and joy? Can we be joyful while being unhappy? Happiness is fleeting. Joy is a choice. It can be hard to distinguish the two. Especially for those who struggle with anxiety. “Consider it joy?” This means that you can use your mind to control your emotions. Happiness is an emotion, and emotions do not always tell you the truth. Isn’t that so similar to the lamenters in Psalms? In the pain they turned and ran to the Lord rather than running away from him. And when they ran to him, they brought all their pain and doubt and anger to him. And that is a great lead-in to the next phrase we’re fact-checking:God is not OK with doubt and anger. We’ve referred to James 1 already. Take a look at verse 6. “When he asks he must believe and not doubt”? Wait, is doubt wrong? And later in verse 19, “be slow to anger, for man’s anger does not bring about the righteous life God desires.” So doubt and anger are wrong? Or are they? Read the psalms, the laments. In them you’ll find gut-wrenching doubt and anger. Raw pain. That means we can also declare that this is a false idea. God is absolutely okay with doubt and anger. In Mark 9:17, we read a fascinating story that relates to doubt. The disciples were trying to cast a demon out of a boy, but to no avail. The father of the boy brought him to Jesus to help. Notice the father’s response to Jesus: “I do believe, help me overcome my unbelief.” We all doubt, and we all get angry. Remember that there is nothing that can separate us from the Love of God. But God’s gracious love for us should also not be an excuse to just stay in our doubt or anger. Instead, God’s grace should motivate us, make us grateful, to trust in him and allow our anger to subside. If you have an anger problem that keeps popping up, and you can’t control it, I urge you to get professional help. It’s not okay to be angry and damage people. If you believe enough, he will heal you. If you give enough, he will prosper you. Basically, if you have enough faith, you’ll have the good life. You can hear preachers on TV that seem to believe this. But is it true? God definitely wants us to be faithful to him, and to grow in our faithfulness, but does he promise that he will give us riches and health if we reach a certain level of faith? The clear response across the many books of the Bible is that we live in a fallen world! We are not going to live forever. There are accidents, diseases, and sinful choices that we make, and that others make, that affect us. The result is that sometimes we will face difficulties in this life. We might lose our job, get sick and have pain. I get it that when we’re in a difficult situation, we are desperate for answers, for explanations, for anything to help us make sense of the pain that we’re experiencing. So we quickly turn it on God. But think about that with me for a minute. Is the pain in this world God’s fault? 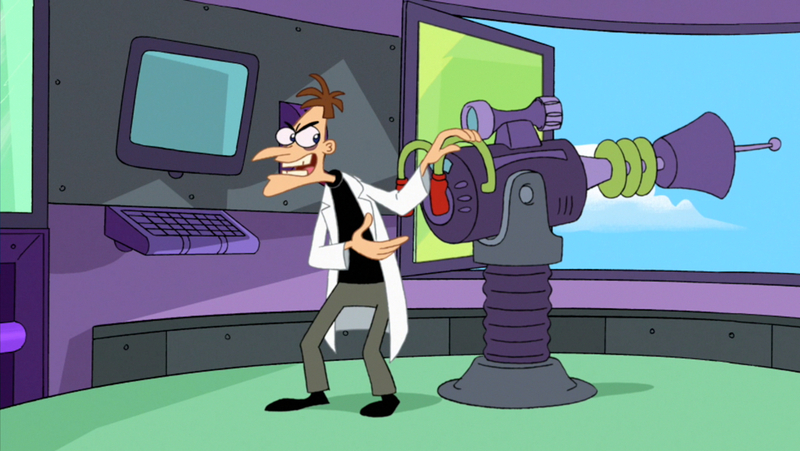 My kids love the cartoon Phineas and Ferb, and in that show the bad guy, Dr. Doofenshmirtz, creates a new destructive ray gun every episode. He names each gun uniquely, ending with the phrase “-inator”. So there is the “Destruct-inator,” and the “Space Laser-inator” and the “Freeze-inator” and the “Ugly-inator” and about a hundred other “-Inators”. Do we really believe that God has a “Get sick-inator” or a “Accident-inator” or “Marriage break-up-inator” or an “-inator” for all the bad stuff that can happen, and he zaps us with them? We do that, don’t we? I wonder if we do it because, while most of us don’t believe in a Health & Wealth Gospel, if we are honest with ourselves, we believe it a little bit. That’s a deep question to think about. 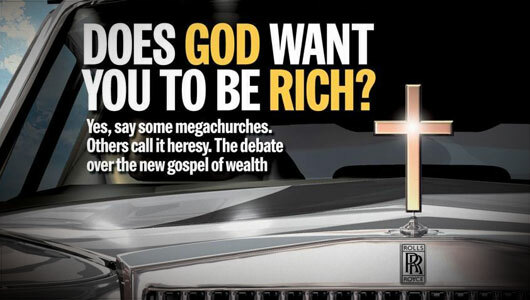 Maybe we actually do look at health and wealth as a blessing from God. Maybe we actually do look at sickness and poverty as a curse. But is it? Is that how God works? Jesus has what might be a surprising answer for us in our next section of our study through Luke. If you want a sneak peak check out Luke 6:17-26, and if you’re in the Lancaster area and are not involved in church family, we invite you to Faith Church Sunday morning to be our guest! Are you feeling discontent in your relationships? Maybe you’re not feeling happy about a relationship? But are you feeling joy? Is there a difference? And what does it matter? When we are unhappy or discontent, we are very tempted to RUN! In our passage from this past Sunday, Paul says “Remain in the situation in which you were called.” Over and over he says this. Remain? What if we don’t like the situation? As I have said before, if it is an abusive situation, this would not apply. Get safe! My NIV Study Bible notes summarize it well: “There is nothing wrong with seeking to improve your condition in life, but be content at every stage.” There is a tension between being content and keeping his commands. Sometimes keeping his commands means we need to make a change. We could summarize like this: Remain in the life state that you are in, but do not sin. At the root of all this is a heart that is committed to say that “Lord, your way is the best way.” Keep his commands requires a heart desire that believes that following God’s way is the best! “Find your satisfaction in the Lord” Paul is not saying that the believers in the church should stay as they are for eternity. He encourages slaves, if they can, to be free. But the focus is to be content in the Lord where they are at. Things may change, but the focus for now is to grow that passionate, heartfelt relationship with the Lord. We can be so discontent about life. We can start to grow a bitterness about our station in life. Paul says that the Christians should find their contentment in the Lord. And we can grow that deep inner joy without having our circumstances change one bit. Contentment is being able to be joyful no matter the circumstance. There is a big difference between inner and outer joy. One way to describe the difference is to look at the difference between happiness and joy. I am bit hesitant to use these two terms because they are basically synonymous. But think about them this way: happiness is that outer expression of emotion based in how we are feeling. We like happiness a lot because it means we feel good. Joy is different from happiness because it is a deeper inner state of heart and mind that is trusting in God no matter how we are feeling, no matter our circumstance, no matter our station in life. This deep inner joy, this contentment is what Paul is saying the Corinthians believers need. What are you discontent about? Your marriage? Your singleness? Your job? Your finances? The state of the world? Paul is saying that we should be a people who avoid rushing to change, but instead remain as you are, be content, find that deep inner joy in obeying Christ, and commit yourself to grow in your relationship with him. Here’s what’s interesting about contentment. It is okay to allow the deep inner joy of contentment to bubble up to the surface of your life and overflow with emotional outward happiness. We should never confuse that outward emotion for the inner real thing. But it is okay to be outwardly happy. I would go so far as to say that when we are content in Christ no matter our situation, we will see that outward happiness, that outward rejoicing on a more regular basis! And it starts with a contentment in our relationship with Christ. What will it mean for you to grow contentment in the Lord?